Learn how supernatural sleuths get their leads and how their uncanny insights have saved the day in kidnappings and serial murders. Here is a fascinating exploration of the role of visions and premonitions--plus a look at the psychic's investigative tools and techniques--decoding dreams, following premonitions, reading the stars, and voices from the grave. 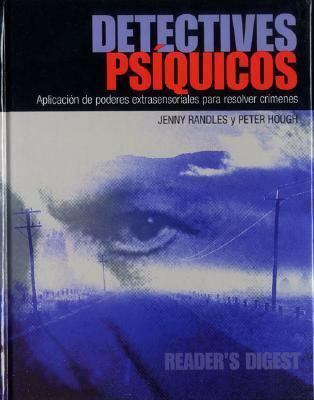 Complete with details of actual police reports comparing the "hit rate" of psychics and pragmatic detectives.Hylton, Bill is the author of 'Detectives Psiquicos Aplicacion De Poderes Extrasensoriales Para Resolver Crimenes', published 2003 under ISBN 9789685460040 and ISBN 9685460043. Loading marketplace prices 8 copies from $6.96 How does the rental process work?